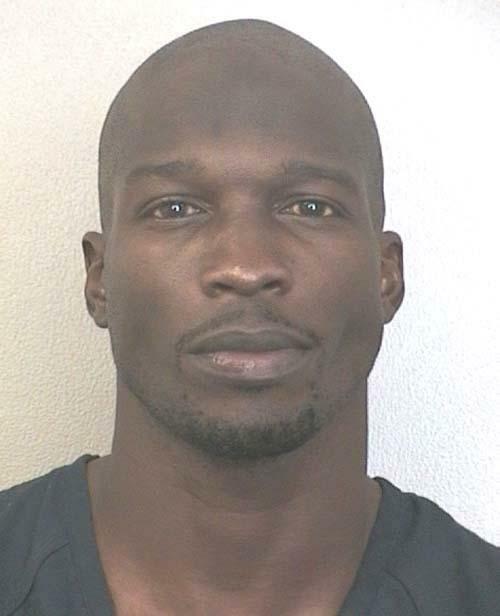 NFL star Chad Johnson was arrested by Florida cops in August 2012 and charged with domestic battery. According to Davie police, the wide receiver got into a fight with his wife over a receipt for condoms she discovered in his car. Johnson, 34, allegedly head-butted spouse Evelyn Lozada, leaving a cut on her forehead. He was booked into the Broward County jail, where he posed for the above mug shot before being released on $2500 bond.